It is often said that a healthy heart means a healthy body, but the reverse is true as well. 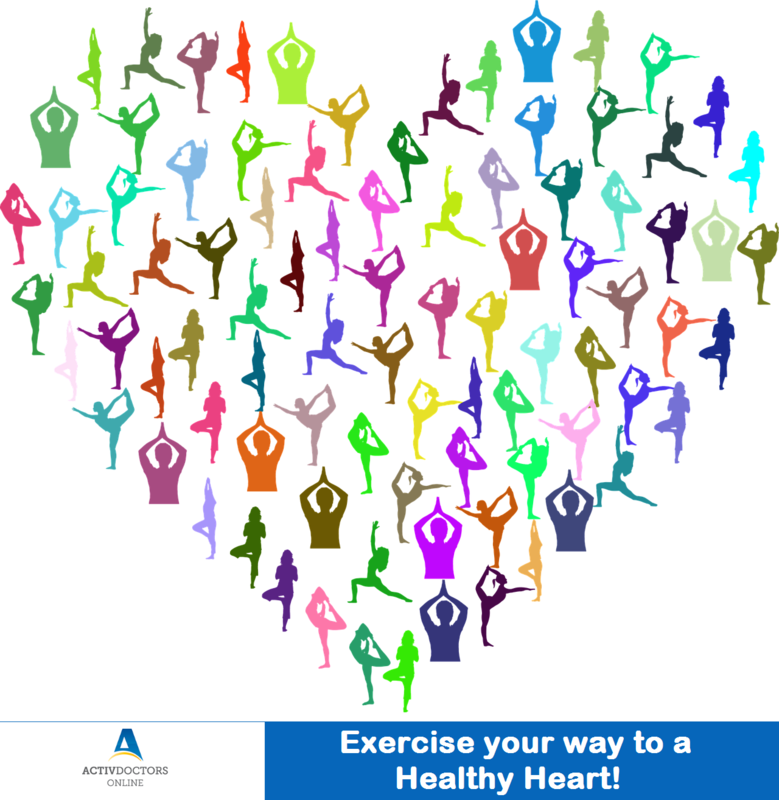 One of the easiest ways to keep your heart healthy is by keeping yourself fit and active. Lack of physical activity and sedentary lifestyles have a major negative impact on our health. Exercise not only keeps the heart and body in shape, but also, helps the overall harmony of our mental and emotional health. Aerobic exercise immensely helps heart health by increasing oxygen, while eliminating carbon dioxide without excessive strain. Spend 30 minutes of your time in brisk walking, jogging or skipping for five days in a week. Cycling and swimming are very good forms of aerobic exercise recommended for heart health. Stress affects the normal functioning of the heart – Practicing yoga every day keeps the mind and body stress free. Being overweight or obese is a major risk factor for heart diseases – appropriate measures to control weight are recommended. Include exercise in your daily life today to stay hale and hearty.